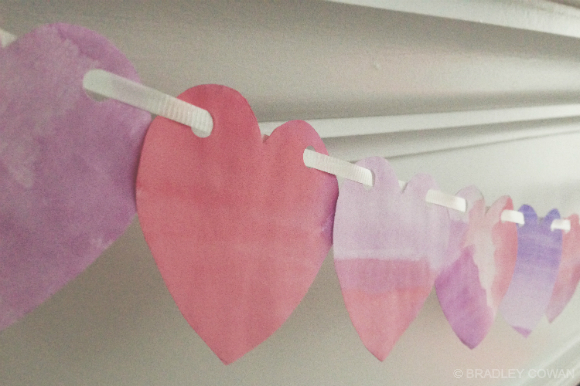 Watercolor hearts, in shades of pink and purple, painted by toddler hands hang from our mantle. 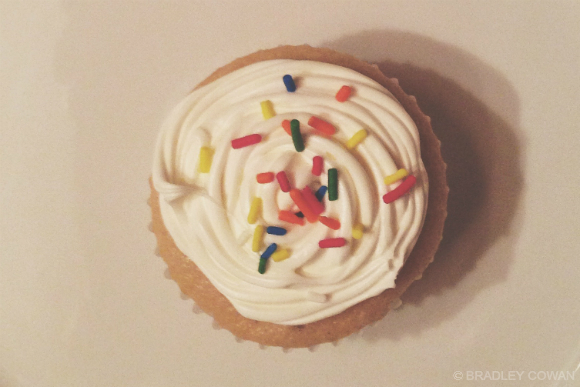 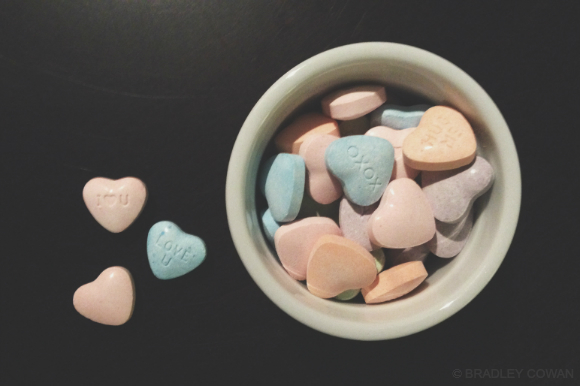 Sweets in the form of sprinkled cupcakes and candy with engraved messages of affectionate sentiments loiter in our kitchen, begging and tempting us with their additional calories disguised as flavor and comfort. 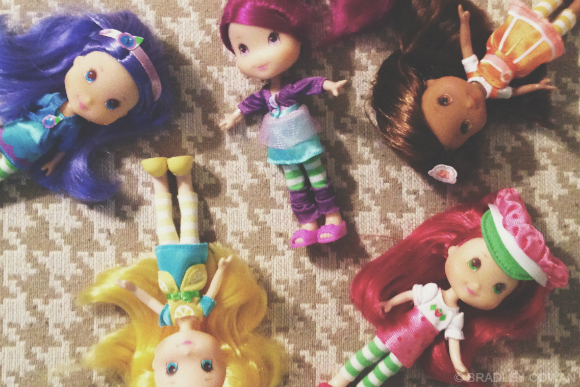 Dolls sit scattered in places and positions designed from a two year old imagination, each with a scent all their own and a corresponding story crafted by a little girl with a smile and an extended bedtime. 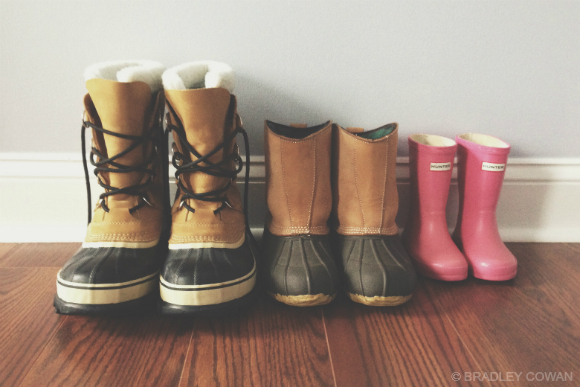 Boots belonging to me and to her and her, too, sit nearby hoping the warmth of this home can somehow thaw the cold soles caused by old man winter. 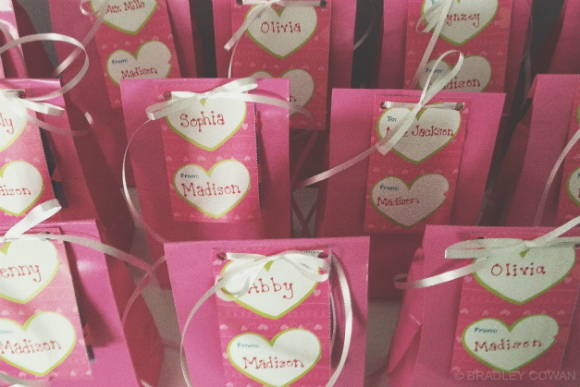 Bags of Valentine’s huddle together assembled and assigned with the names of her preschool peers, ready for Madison to spread the love, a love so big we couldn’t stop it from overflowing even if we tried... not that we ever would.